mistress | The Eye of Faith Vintage 11.11.11. 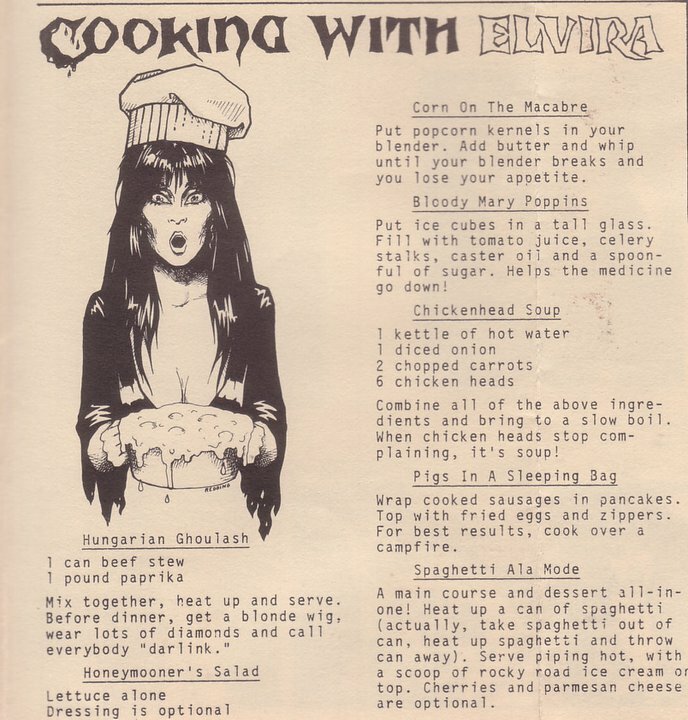 We sure love a devilishly delectable treat as much as the next fashion/whatever the heck I wanna blog blogger, but we are especially taken with some of the recipe’s cooked up by our favourite horror hostess, Mistress of Dark, Elvira! From a Unique take at Hungarian Goulash, to Chicken Head soup, and Spaghetti ala mode, there’s something for every nun! Take a look at this fun vintage recipe sheet for some tasty fun that may make your hair fall out!